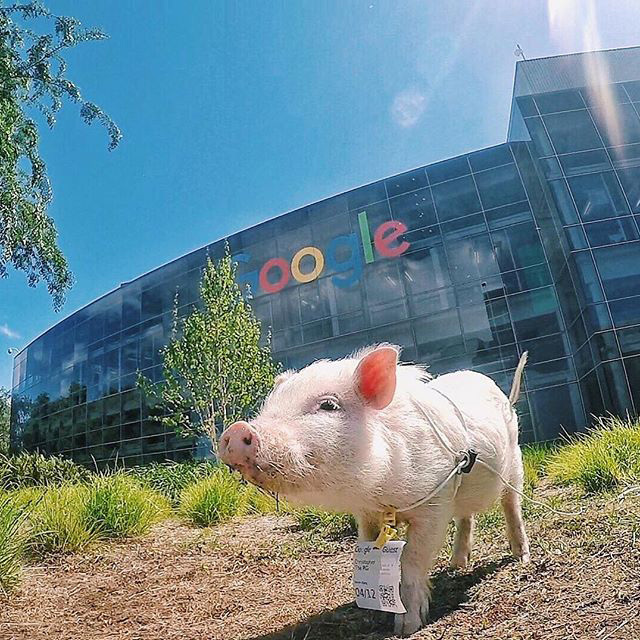 I was scanning through the photos related to Google and other search personalities and I spotted Christopher The Pig stopping by Google to pay a visit. The pig even has its very own Google guest badge. Here is the pig taking a selfie outside of the GooglePlex office buildings.